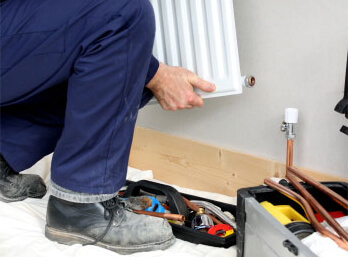 If you want extraordinary boiler and heating services around Chester, Eco Efficient Chester is the most sought after installations and Repairs Company around. We are the best when you want domestic or commercial service delivery. 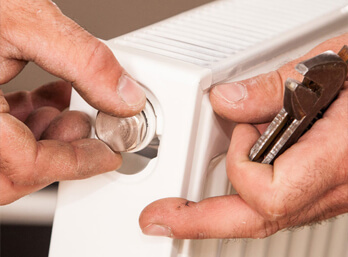 We don’t take any central heating, installation, and servicing requests for granted. Our responsibility is to provide first class customer service. We strive to offer excellent services in a way that suits your needs and financial capacity. We don’t rely on assumptions, and we pay attention to detail with every job that we carry out. We have the tools, techniques and the right attitude to offer boiler and central heating services that are beyond our competitor’s capacity. With 15 years in the industry, we work with a network of highly qualified and gas safe accredited engineers. We only employ seasoned experts who know all there is to know about boiler and heating system brands. We are always ready 24-7 to offer boiler repairs, system maintenance, and installation. We never disappoint you even in emergency situations. Whatever you need including gas safety checks, boiler servicing, and re-positioning or boiler upgrades, we will be there. We have mobile service units manned by trained hands, and there is no service callout we cannot handle in Blacon, Saughall, Waverton, Christleton, and Saltney. Our reputation in Chester is in a league of its own. That’s why our customer base comprises of individuals, companies, and establishments from different industries. We don’t categorize our customers, and we attend to every service callout with the same zeal, speed, and intent to provide superior results. We don’t brag, but we let our reviews and testimonials to do the talking. Talk to us and enjoy competitive pricing for boiler and heating system installation, servicing and maintenance. We are open about our rates, and we never overcharge you. Choosing under qualified boiler service firms spells more trouble for your system. 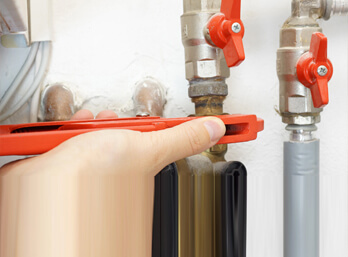 With us, you get top-notch repairs, and we address boiler faults from their cause. We have gas safe registered specialists, who have been in the trade for 15years and they know how to fix every boiler brand fault. We don’t worry about makes or models since our state of the art equipment, and polished expertise makes it easy to offer solutions within the hour. We are sticklers for quality and we only use manufacturer approved spare parts. Call us, and we will revamp your boiler the same day. Your boiler’s efficiency is determined by the expertise and credibility of the engineers handling the installation process. Eco Efficient Chester only relies on highly trained and Gas Safe certified experts to fix such a problem. We know all the rules, and we stick to them every step of the way. Don’t allow incompetent installers to bungle the installation. With us, you are sure we will get it right on the first time. Choose Eco Efficient Chester to fix corroded pipes and loose valves that trigger deadly gas and boiler leaks. We know what these leaks can lead to, and we will respond fast to curtail disasters. Our technicians have been solving system leaks for years, and they will have a remedy in minutes. We have gas and water leak detection technology that is hard to find elsewhere. Call us now, and our mobile dispatch team will be there in minutes. Investing in a savvy heating system is everything. However, you might live to regret that choice if you choose under qualified installers for the job. At Eco Efficient Chester, our experts are polished, and our theory workmanship is known all over Blacon, Saughall, Waverton, Christleton and Saltney. We design and map your premises to help you pick a system that fits your needs. We are always waiting for your call, and we will deliver within the agreed time frame. Choosing professional heating system repair experts is a smart move. Make one by calling us to fix any central heating system glitch even if you can’t get hot water way past midnight. No other repair firm in Chester operates at such hours, but we are always happy to bail you out regardless of time or day. We can differentiate original spare parts from the cheap fakes, and we never cut corners. Commission us for quick, affordable and guaranteed boiler and central heating services.